LMC art instructor Judi Pettite took advantage of blank plywood construction walls at the college to exhibit her painting students work. 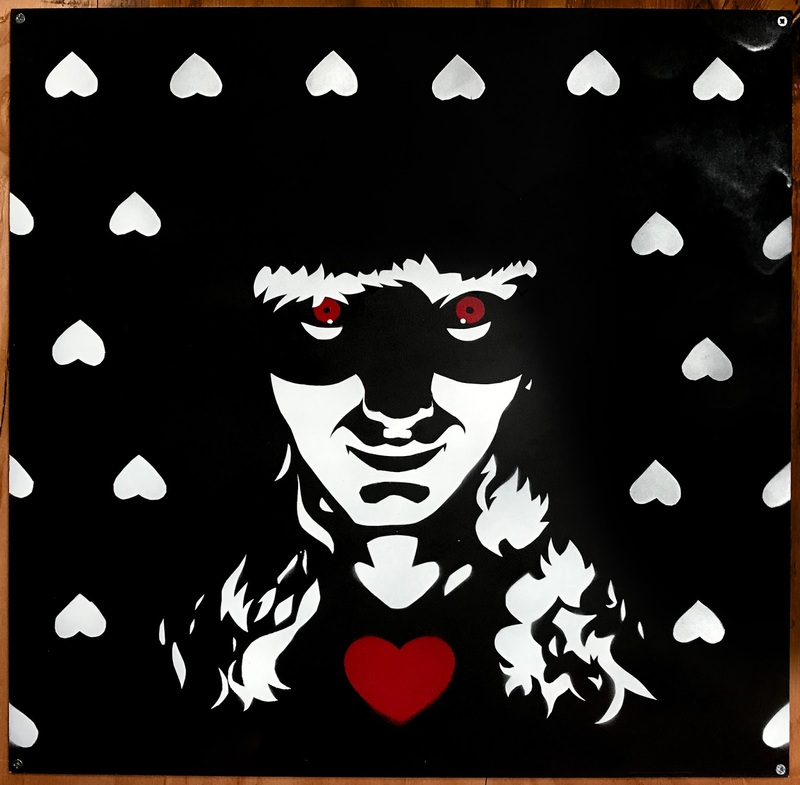 Each piece is a stencil based self portrait on 24 x 24 inch plywood, screwed on to the temporary walls. The work, though inspired by Banksy Shepard and Swoon, reflects each students personal story.